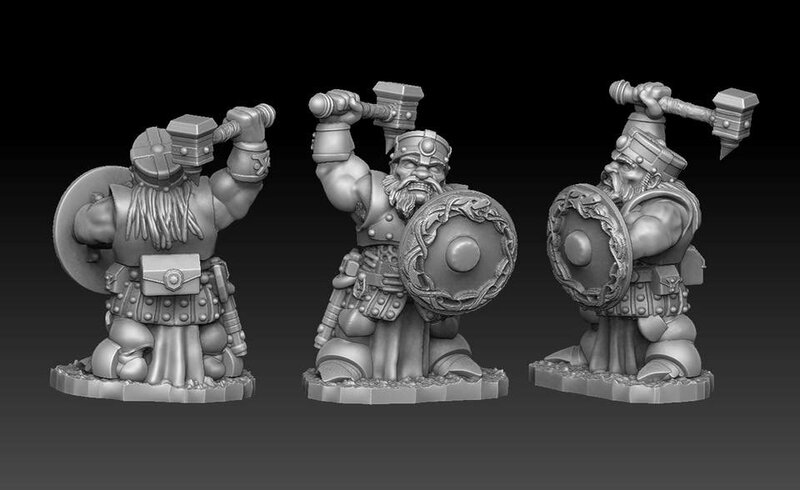 Some great looking sculpts in there. Not really looking for more dwarves, but that four-armed skeleton and the naga are very nice. That's ... an unusual pledge system to put it mildly. That pledge system and their self-contradictory comments on it are a train wreck, on a level that I personally feel it violates the "clearly presented" rule. The reason we are doing the gift certificate is because KS doesn't provide addresses for us to ship the product to our customers. Yes these are Dragonlock tiles. I suppose that may just be the project creator bumbling along because they don't know the first thing about clear communications and how Kickstarter actually works (cf. getting the address through Kickstarter's survey), but it is certainly is one hell of a red flag. 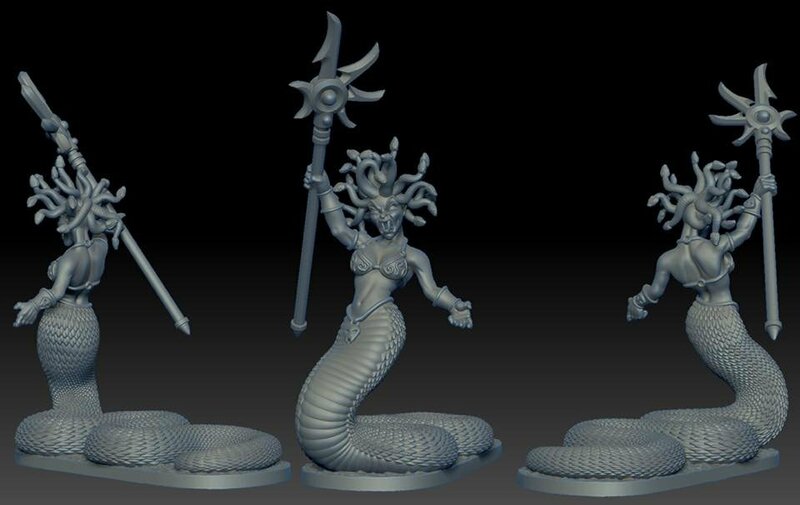 I really like the medusa and the four-armed skeleton. But I will not back this as I still have no clear idea how that "gift certificate" system works. 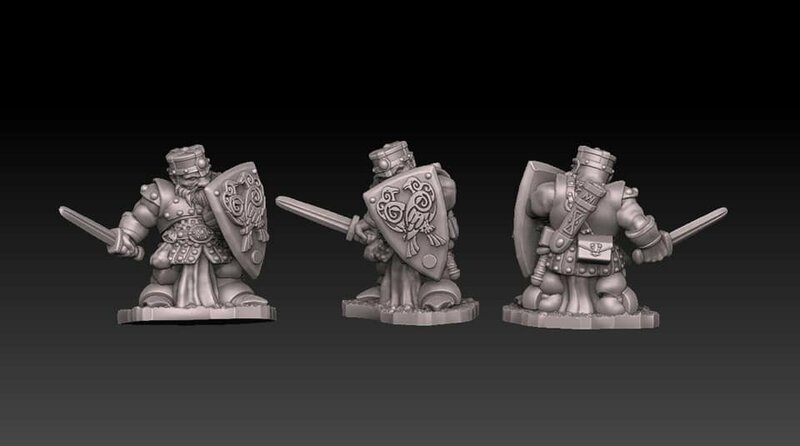 If it works like "pledge $50 and get minis for $60" (for example) why have such strange pledge levels that seemingly give you a certain pack of miniatures at all? And I always thought that KS WOULD INDEED provide addresses (maybe something changed) as not every KS I backed had a pledge manager. So I think (!) I got a clear answer: If you back, you get exactly those miniatures listed for your pledge level and can add more at a discounted price. (Which is exactly what one of the updates, said, too, but posts in the KS comment section seemed to contradict that). That means I'm definitely out. no, all Kickstarter provides to the Creators are the pledge level you pick, your pledge amount, and your email address., and the money. I've been told they have started adding a backer number, but I've not seen that. Love the minis but I'm not a fan of the pledge level contents. 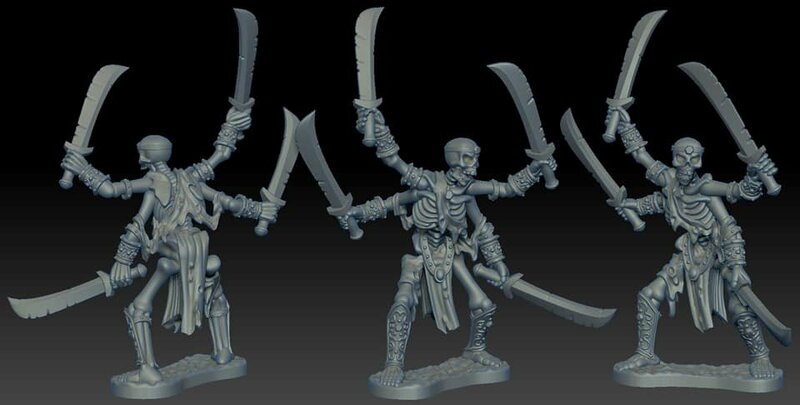 Example, I like the skeleton, but not enough to want it. I do like the dwarf(s). Kinda torn on this one right now. Jason & Bobby are probably my top 2 favorite (if not top 5) sculptors right now + both are great guys so we shall see. I know that's indeed how it used to work for quite some time, and I wwas pretty sure it still does. If Kickstarter has stealth changed this detail without properly documenting it, this is indeed a red flag for trusting Kickstarter any longer. I’m considering the monster level pledge. 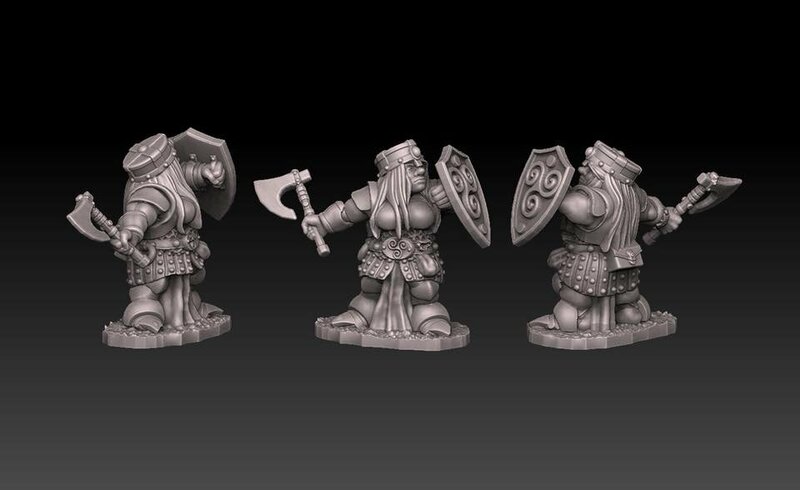 I already have so many dwarves from Oathsworn that haven’t gotten any love. But I’m always down for different takes on monsters for my dnd games!! Having read through the comments, and what with all the changes being made, I am a bit concerned as to how fulfillment will end up happening. Jason and Bobby are amazing talents, but it seems like the project is drawing some red flags due to the mutable nature from the onset. Saved for later in hopes that they change the pledge system. The undead are awesome! Hey folks. How do I pitch this? I guess I can start with a little bit about myself. I've been doing webcomics since the end of 2003. Back then I started a little webcomic I called Yosh! (because I was a total weeb). Now here we are, 15 years later… and I’m still doing 3 Yosh!comics every week. There are over 2000 comics on Yosh! Problem is, Yosh!, while fun, isn't the only idea running around in my head waiting for when I feel skilled enough to take on a bigger challenge. There's a bunch of projects I want to do. Almost 3 years ago, I started working on one of those other ideas. That comic series is called Artificial Incident. Artificial Incident is a project I fell in love with as soon as I figured out that it already had a known Genre. Yosh! fell into the "Slice of life" category even though very little of it fell into everyday life, but because there really wasn't a better fit for it, it was categorized as that. AI, on the other hand, was RPG Literature, or for the weebs, an Isekai (Yep, 15 years later, still a weeb). Allow me to explain my passion, or skip this paragraph. I love stories that take a person and throws them into a familiar yet alien world. Stories like The Wizard of Oz, The Lion the Witch and the Wardrobe, and yes, even Captain N the Game Masters (Actually I was more a fan of the Dungeons and Dragons animated series but anyways). I enjoyed these stories because I saw so much potential and a simple connection. Most people can put themselves in the shoes of the person thrust into this strange situation. They can think about what they would do and how they would react. This creates an instant connection to the protagonist of the story. Then there's the shear number of familiar yet different things you can do leading to near limitless potential, while not being so alien that people have trouble understanding it. It's a perfect storm of unique and familiar attributes. So, what Is Artificial Incident? It's the story of a character that not only gets pulled into a video game, but has the memories of that character as if they actually lived their life within the game. This caused many of the character's original memories to be overwritten, but not all of them. They're not alone in this game though. The story focuses on the main characters and the mysteries that unfold from the world. This includes everything from the NPCs, to a massive change in the economy and civilizations of the world, to even other Player Characters... from entirely different games. What makes AI different from other similar stories? This comic has many unique traits, but the thing that frustrates me the most about many current similar stories is their lack of actually showing why things are the way they are. So many mysteries and concepts are never explored. AI is written to explore these changes and work to discover the reasons behind them rather than just accepting things "just because".